Mike, the delivery man, opening boxes! So much has happened in the last week, that we've been a bit slow in updating the blog. Lots of exciting things! The biggest highlight was that last Thursday, our container from the States arrived! We had put all of these items into storage nearly two years ago (22 months to be exact) and what a blessing it was to be reunited with many things we had missed - photo albums, kitchen utensils (we like to cook, so this was exciting), clothing, furniture, books, decor and sentimental things. There were many things we actually forgot we owned! It was fun and special to open each box and be surprised by what was inside. It was like Christmas! The kitchen, in the midst of organizing! everything, our apartment is really starting to feel like home. Our bookcases once again display wedding photos, vases and our favorite reads. We are sleeping on our own bed again (heavenly!). We are cooking our favorite meals using the kitchen appliances we love so much. Although it was freeing to live simply for a transitional period of time, it is still special to have a home again that feels "like us". We spent the few days after the delivery settling in and (me, especially) organizing. 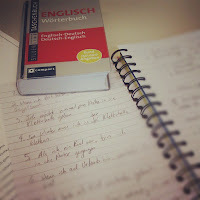 Then on Monday, we returned to our language school to begin the next level of German study. Our first two days have been very good and have gone really quickly! That is a sign of a good teacher and a group of interactive students! We've been challenged with some new grammar and a little more homework than we had before (which is good!). 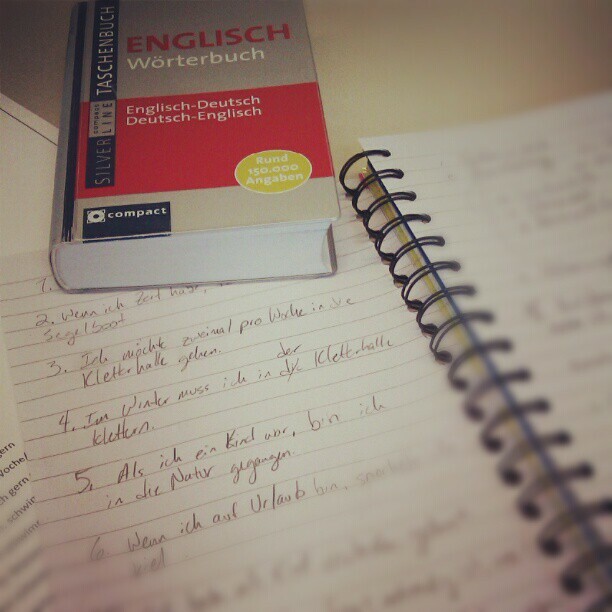 We're looking forward to continuing to expand our learning in this next level of German. Part of the fun of having a new place to live in is that we get to try our hand at an herb and veggie garden again. The last time we were really able to attempt this was back in Illinois. We had mixed success last time around, but I (Nate) have been trying to learn all I can from the internet. We are only a week or so into it, and we already have sprouts. Today I got out my macro set up (taking close up pictures of things) to take some photos. Here are a few that I really liked! Also sage. Once the first leaves sprout, these little ones form in between the stem. This is zoomed in on the mint leaves. I really love the texture of the cells on the leaf. One thing that is completely different about living in Austria is the walls. Most homes I have seen in the US have sheet rock walls. They tend to be relatively thin and require a nail, a sticky hook thing, or maybe a picture hanger like this. Hanging pictures and curtain rods isn't that big of a deal. Here, most things are made of concrete or really thick sheet rock. So we need to use these to anchor things to the wall. They are little plastic wall anchors. But first you have to drill a hole. To get through the concrete, you need a special masonry bit and a hammer drill. We had a teammate that was given an extra hammer drill that he gave to me when we arrived. That tool has been a wonderful help! It is an intense process drilling holes here, full of tons of measuring just to be sure you don't make a mistake. The great thing is once most things are attached to the wall, they aren't coming down anytime soon! As I have drilled all these holes, I have been processing what it means to settle. Bethany and I moved a lot when we were first married. 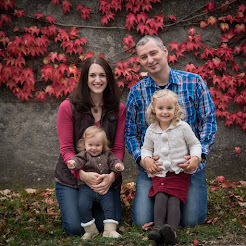 As we look forward to our 4th anniversary, I realized that much of our marriage has been focused on getting to Vienna. Just as it was challenging for us to lift up our roots in the States, we are feeling the tension of putting roots down here. The first thing I realized is that drilling into concrete takes time. If you try to drill the holes all at once, your drill bit will get hot and burn out. In the same way, connecting to a new neighborhood and city takes time. Building new relationships, getting to know a new church and even figuring out how to go to the doctor (they actually make house calls here!) are all things that take time to figure out. It has been helpful to remind myself that even if we just moved across the country, we would still have some of these same challenges. Culture and language differences make this a bit more complicated, but it is the same basic principle. The second thing I have realized is we can't rush through any of this. We have to experience the highs and the lows of this process as they come. I made this mistake with my first masonry drill bit. I wanted to get the holes drilled fast and get things done. I didn't pay attention to the tell tail signs of stress on the bit. When metal gets really hot, it starts to turn a shade of blue. From then on the metal becomes weaker and effectiveness slowly decreases until the bit is completely spent. In our training in Colorado, we talked about the process of learning a new culture. It takes 1,000,000 mistakes to successfully cross cultural barriers. If we try to go too fast, we'll make 100,000 point mistakes instead of the normal 2 or 5 pointers. And we can also burn out ourselves and not be useful anymore, just like the drill bit. This process hasn't been easy, and there have been many instance these past few weeks that made us feel like this final leg has been the hardest. In the face of all of this, we have hope that God will continue to walk with us and guide us. On Friday, we returned from a week-long retreat in mountains with our WorldVenture team. We attended this retreat on our Vision Trip two years ago, and it was so special to return with our team to that same guest house in Grundlsee, this time as team members! I kept thinking back to our first impressions of Austria in 2011 and all that we were taking in during that trip. It's amazing to look back and see how far God has carried us on our journey these two years.